Brent Graef is dedicated to helping people find a way to provide their horses with a better deal through seeing things from the horse's perspective. He coaches all types of horse people, from world class competitors to back yard horse lovers. 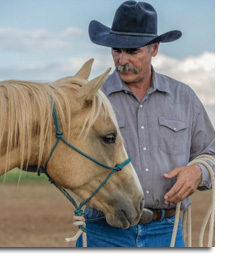 He is a soft-spoken, kind-hearted West Texas cowboy who has been working with horses since he was five years old. His style of horsemanship has been influenced by Tom & Bill Dorrance and Ray Hunt. With his gift for teaching, he helps people to understand how the horse views things and how to present things to the horse in a way that makes sense to the horse. By preparing the horse in this way it makes the right response more obvious. 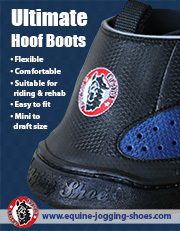 His aim is to get a horse to follow a feel and seek the release which creates a thinking horse who is supple and soft. He does not believe in methods that just up the pressure until the horse finds a way to escape it to find relief. He wants the horse to do the right thing because he understands what is being asked rather than just choosing the lesser of two evils. He feels that to be a good leader you should aim to be a good, solid and caring partner rather than a dictating alpha who makes all the decisions. He believes that if a horse gets worried we should teach him to look for the human who will be there to show him the way. Brent considers the horse to be the greatest of teachers, and one who is able to teach us so much if we take the time to learn how to listen. He teaches this approach with a genuine care and passion for both horses and people. "Good horsemanship is a lot like life; we can’t change the past, so I don’t think we should dwell on it. But we can make the most of the present and set up the future. Rather than thinking about the past, I find it more helpful to meet the horse where he’s at today." He has a range of horse gear as well as 4 DVDs: Backing; Circling; Leading; and Reach the Hind. He travels across the US holding clinics in Texas, Ohio, Oregon, Georgia, Florida, Michigan, Virginia, Washington, California, Missouri and Rhode Island.